National Bike Challenge - Have You Joined Yet? 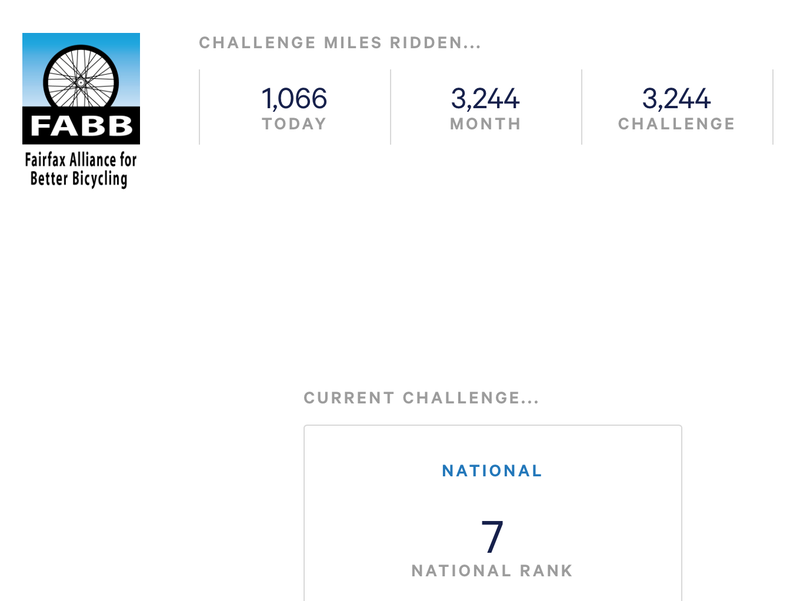 FABB is off to a great start on the National Bike Challenge. We're racking up the miles and are ranked 7th nationally after just three days. Why not join us? 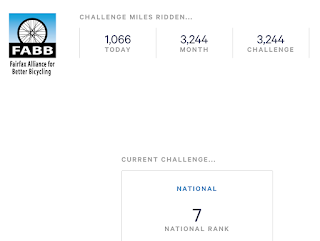 You just need to go to the National Bike Challenge site.There you'll be given directions to sign up with or sign in to Strava, the "Social Network for Athletes," to track your miles. You also can use Garmin and other apps or enter your data manually, if your prefer. The challenge runs through the end of September so it's not too late to start. Please join us to help keep FABB nationally ranked and show the country that Fairfax County is serious about bicycling as a transportation, recreation, and fitness option. And please support our NBC sponsor, Bikes@Vienna. I just checked and FABB is now ranked 5th! Pretty awesome. Hope more people sign up! !